Eating Out in Alcudia (Puerto Alcudia) - What to Eat in Alcudia? Home / Eating Out in Alcudia (Puerto Alcudia) – What to Eat in Alcudia? Eating out in Alcudia is great and there are many choices available. 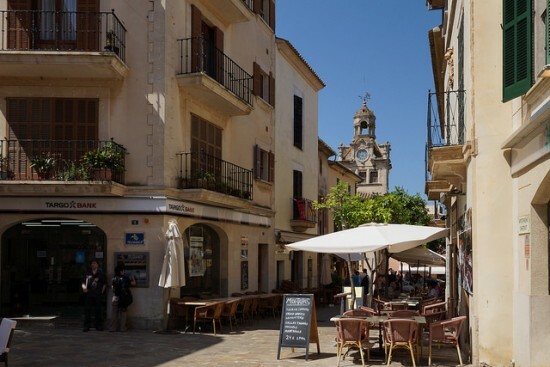 Holidaymakers may find variety of cafes and restaurants in Alcudia at the wonderful promenade area of Puerto Alcudia and enjoy the popular Mallorcan cuisine, traditional tapas, international dishes and fresh seafood. Dining and wining at the marina of Alcudia can be very exciting for the holidaymakers. 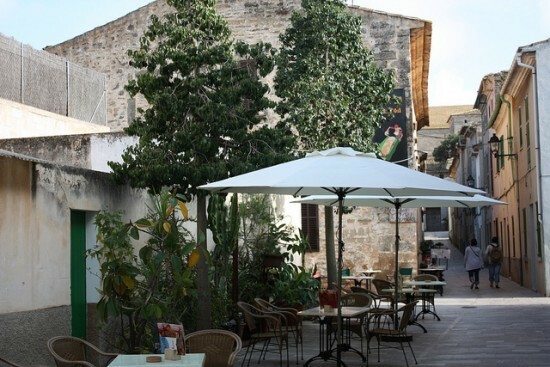 Alcudia Marina is the most popular place for eating out in Alcudia. As for what to eat in Alcudia (Puerto Alcudia); typical Mallorcan soups is the popular first course. They include a nourishing blend of vegetables, thinly cut slices of (brown) bread, onion and tomato. Tumbet is another typical and popular dish that is a ratatouille-like baked vegetable dish, usually cooked in a greixera (casserole) and containing aubergines (eggplant), potatoes, peppers and tomato. As for meat; the popular local roast sucking pig, and the so-called escaldums, duck or turkey stews with potatoes and almonds is a must eat. Loin of pork with cabbage is another choice. There is also the famed Mallorcan spicy red sausage spread, sobrasada, made of finely diced pork, seasoning, paprika and cayenne pepper. The local fish and seafood dishes are also worth a taste.